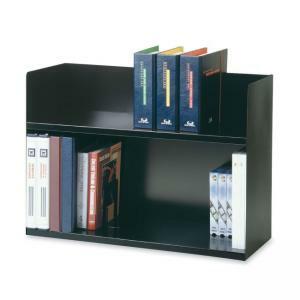 Sturdy rack holds twice as many books as most racks in the same amount of space. The 12-1/2" high bottom shelf holds magazines and catalogs. Made with 30 percent recycled steel. $98LEE Flexible Expandable Collator/Sorter/File - 7" x 11" x 10.5"